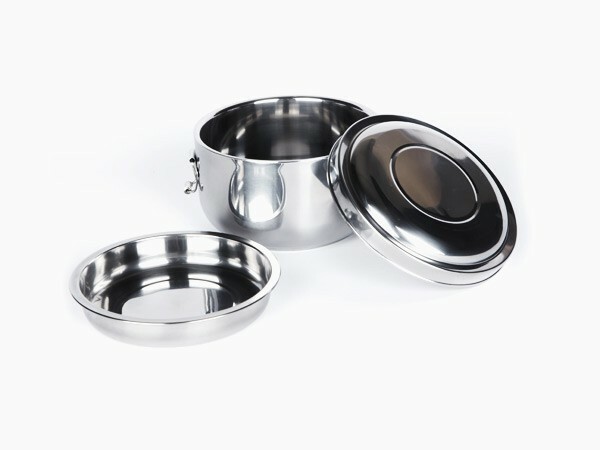 Onyx Stainless Steel Lunch Box or Food Storage Container. 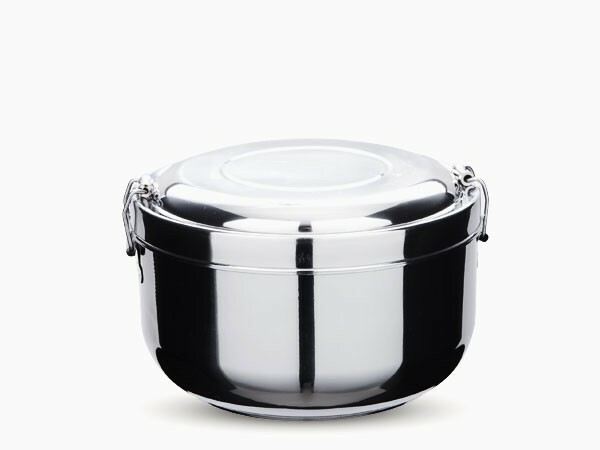 Lightweight, durable, double walled, split level Onyx Stainless Steel food storage container. It is ideal for hot or cold lunches, it will keep food warm or cold for hours. You can also write on the container with a non-permanent marker. This helps to specify the contents, date and owner. 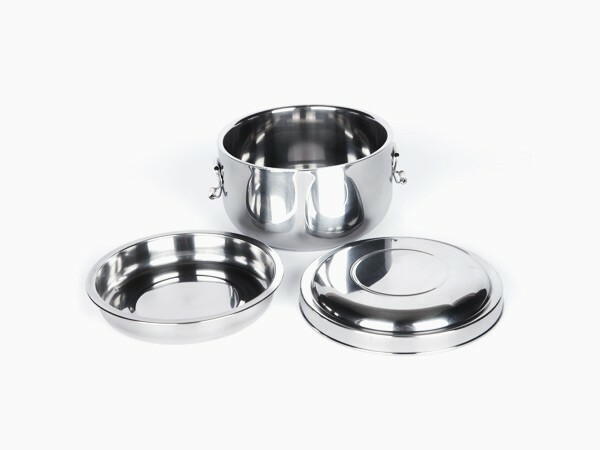 It is made from 18/0 food grade Onyx Stainless Steel, it is 100% reusable and recyclable. Not recommended for the dishwasher. 14 cm diameter.